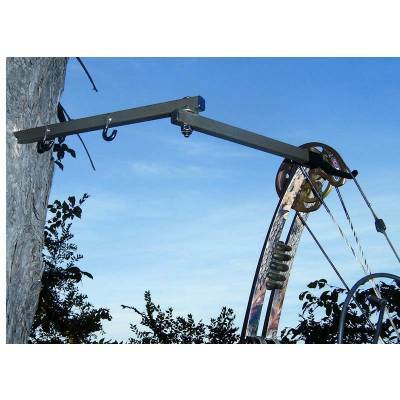 HME Archer's Folding Bow Hanger. A universally adjustable, rotating single-person bow hanger that easily steps into the ground to provide a stable means to support your bow. Compact, folding design is easy to transport. Simply fold out, extend and lock to create a convenient bow holder for any situation. Hanger fork rotates 360 degrees to allow customization of bow & arrow inside the blind.